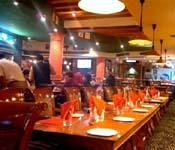 Under the topic of Restaurant in this planned city, Chandigarh is filled with various restaurants and eateries. The delicious dishes served in various restaurants in this city will definitely linger in our heart for years together. The city has got wide varieties to cater the needs of all tourists visiting this city. No one can suffer for their taste of food in this Chandigarh city. One will go crazy with wide variety of Punjabi cuisines including Punjabi Chole, Makki di Roti, Sarson Ka Saag, Lassi and Dal Makhni etc. Apart from conventional north Indian dishes, one can also taste yummy food available in various fast food joints, Chinese, Continental and numerous multi cuisine dining halls available all around Chandigarh. This wide variety of dishes served in assorted restaurants in Chandigarh will definitely deliver a memorable experience for one. 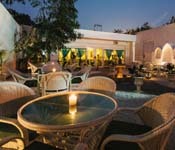 Listed are few of the best rated restaurants located in Chandigarh. Shagri-La Plus is one of the Chinese restaurant known for their huge prices and crawling services. But the servings are really generous making them worth waiting. One should try yaki gyoza-dumplings served with hot garlic sauce. This restaurant is unique in its style with embedded small grills in each dining table. This enables diners to play their role in cooking their own food. But the food isn’t quite as attractive. 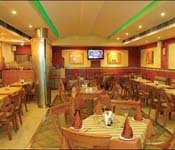 One can enjoy good veg/non-veg buffet system catering Chinese, BBQ Indian and Mediterranean cuisines. This restaurant is well known for boti kebab (marinated mutton which is charcoal-grilled). This is spicy and fill with juicy goodness. There is also a clay-oven magic in the form of tandoori Gobi (cauliflower) and a chocolate ecstasy in the name of ‘sizzling brownie’. Nik Baker’s is a top order bakery in Chandigarh in serving fresh bread (linseed, multigrain, ciabatta, rye, sunflower etc), snack items (mushroom Panini, quiche, and chicken croissants) along with pastries (blueberry cheesecake, lemon tarts, brownies). One should taste gelato ice cream (magical brownie-fudge is worth mentioning). They deliver birthday cakes starting from INR 390 per kilogram with one day prior information. They also have a small branch at Sector 9-D.